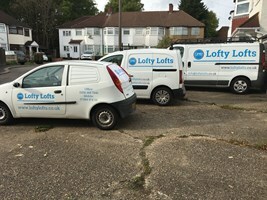 At Lofty Lofts we work closely with our clients and have understanding of the importance of cost. We provide a very detailed estimate. NO HIDDEN EXTRAS! We have a policy of carrying out one project at a time, to ensure your project is completed to the highest standard. As a practical family team with more than 40 years experience, we offer our total dedication to your project and a fast, speedy completion.